1. Is the hospital big and sophisticated enough? 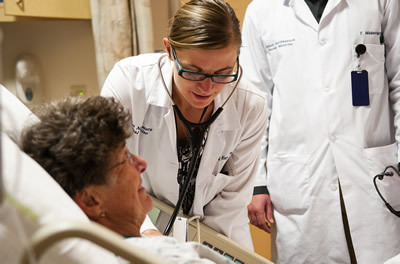 Abbott Northwestern is the largest adult hospital in the Twin Cities with a robust group of adult medicine subspecialty areas, including some of the largest programs that can be found in the upper Midwest. The technology base of the hospital is state of the art and the efficiency with which care is delivered to our patients is second to none. Patients and families give unusually high marks to the care and service they receive and physicians, including residents, are similarly pleased with the support they receive from the hospital. The hospital is in good financial condition, especially considering the extensive investments made the last several years in the new Heart Hospital and in the implementation of the computerized medical record project. 2. Is the patient mix diverse enough? Abbott Northwestern’s patient mix is unique in the upper Midwest. Because we serve a large and important part of inner city Minneapolis, approximately 1/3 of a resident's experience is with people from lower socioeconomic and multicultural backgrounds. Another 1/3 of the patients are tertiary referral cases from all over the upper Midwest needing the high technology care that we can provide. A final 1/3 of the patients come from urban and suburban practices and represent the kind of patients that most practicing internists see. With the largest number of critical care beds in the Twin Cities, the hospital gives the residents outstanding experience with seriously ill patients, but this experience is controlled so that appropriate experience with all other kinds of patients is provided. 3. Would I be working mostly with "private" patients and attending staff? No! All of the patients admitted to the Residents Service are attended by selected full time ANW hospitalists or by members of the Medical Education department faculty. All of these full time physicians must meet strict criteria to have the privilege of admitting to the Residents' Service. Residents have experience with some independent "private" subspecialists during some of the subspecialty rotations. 4. Would I have enough autonomy? The important issue is how the supervision is structured. In our program, the supervision by faculty is at a mix of times, much of which is not on the resident time. This is determined by patient and resident needs. 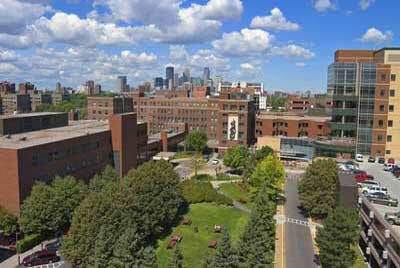 However, our faculty are in the hospital throughout the day, and not unavailable off-campus or in a clinic. This means that each resident team has appropriate balance of time to be independently caring for their patients, knowing faculty are readily available at a moment’s notice. Our attending physicians do not enter patient orders unless they are orders related to complex and special procedures or treatments. The admitting physicians see themselves as partners with the residents in the care of the patients. Thus, the residents have very appropriate responsibility and autonomy, but always with the best supervision. 5. Would I work hard enough to have optimal learning? Our G1 and G2 residents on inpatient teaching service rotations spend approximately 60 hours per week at the hospital. We believe this is working hard enough for optimal learning and is within the nationally mandated residency program limits of 80 hours per week. Our program is in complete compliance with every work standard in the ACGME duty hours standards. What is perhaps more important is that all of a resident's time is spent doing physician work or in the formal learning setting. Residents do not perform non-physician tasks that do not contribute to learning but only add time. The quality of the time a resident spends is more important than the quantity. We also believe that a resident becomes the best possible physician only when a balance is maintained in his or her life. The best physician is a well-rounded person, with a deep understanding of people and the world. This cannot all be obtained at the hospital or clinic. Residents must have time for a life outside of medicine and they must not be sleep deprived or emotionally exhausted so that they cannot enjoy this time away from medicine. Our performance on the ABIM certifying exam (top 10% of all programs for a number of years), our own internal competency examinations, and our feedback from residents in their post-residency careers proves the success of our approach. 6. Would I get to do procedures? Our inpatient rotations and our clinic experiences are set up for all residents to do the procedures they wish to do with excellent teaching and supervision until the resident has met the criteria to perform the procedure independently. All residents can have ample experience with all of the important and basic internal medicine procedures. A separate procedure rotation in the G1 year helps ensure that all residents have competence in essential procedures. 7. Is the outpatient experience strong? Many of our residents have gone on to careers that have substantial amounts of time spent in the outpatient setting. We have always placed major emphasis on the strength of our outpatient experiences, and they provide a range of patient mixes including urban, multicultural, and suburban patients. The on-campus ANGMA-Medicine Clinic is the residents' continuity clinic and is an updated, comfortable space to work for providers and patients. The clinic has been designed to provide the best possible care and learning environment. Faculty help and supervision in the residents' continuity clinic is unique by always having at least one of our four outstanding clinician faculty members present for every two-three residents. This markedly enhances the learning for each resident and guarantees that the care delivered to our patients is first rate. Our second clinic (12 faculty physicians) moved to the Abbott Northwestern Center for Outpatient Care (junction of highways 494 and 169) in September 2003. This extremely successful clinic provides residents with a patient experience that is different from our on-campus clinic. While the on-campus clinic has a sizable proportion of lower socioeconomic and multicultural patients, the COC clinic serves patients who come from the western metropolitan area. Residents spend time in this clinic during all three years of the program. Residents spend time in a variety of other clinics throughout the residency years so that over 1/3 of a residents experience is in the outpatient setting. All of these other outpatient rotations have been chosen for the variety of experiences they bring as well as for the outstanding knowledge and skill of the physicians in the clinics. 8. Is the program academic or scholarly enough? 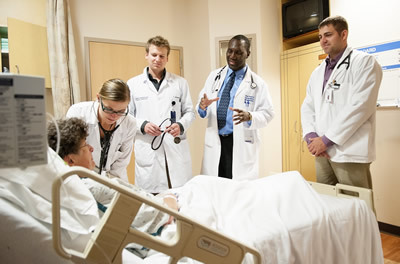 A large amount of clinical research in medicine is performed on the Abbott Northwestern campus, particularly in the areas of cardiology, gastroenterology and oncology. In addition, an important number of the Program leadership are strongly involved in clinical research. Much research is also done in various surgical specialties and in radiology. 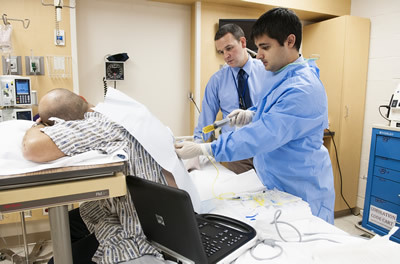 Various NIH national cooperative trials take place at the hospital. All residents complete a scholarly project, usually during their G3 year, with the active support of the faculty and the institution. Several residents have articles published in journals each year. Elective time in the G1, G2, and G3 years has often been used for scholarly projects, including the opportunity to go to another institution and participate in laboratory research. One of our strong curriculum elements is our long-standing Critical Appraisal curriculum that runs throughout the year as an accompaniment of our resident Journal Club. The content includes interpreting clinical research studies, basic biostatistics, understanding diagnostic testing, and decision-making. This entire curriculum is now usually called "evidence based medicine" in many programs. Through this curriculum, residents develop skills needed the rest of their lives in medicine as well as the skills needed to complete their scholarly projects. 9. What do residents do when they leave the program? About 25% of the residents in recent years have entered fellowship training after completion of the residency. The fellowships have been in many subspecialties of medicine. A number of former residents are now in academic positions and three former residents have been Program Directors at other residency programs. The 75% of our residents who have entered practice after residency completion have done a wide variety of things, including both outpatient rural and urban practices, as well as hospitalist medicine careers.